In the Olonets Karelian villages the gray nature shape round log buildings are visual representations of the local culture. This local heritage is fading, since the villages are already deserted, abandoned, rotten or partly demolished or replaced with the new. However, the acute issue is how to reconcile the use of contemporary materials and solutions to this existing context. The appreciation of the villages as cultural heritage, the utility of buildings for contemporary living purposes and the attractiveness of the villages as heritage tourism destinations seem to increase the motivation to preserve the villages. In addition, cultural heritage is part of the local identity that may be exploited as a resource, for example, the young people in their efforts to build a common future. But the preservation of the cultural heritage sites are highly expert-intensive and expert-led processes which are often lacking dialog with the local residents. The knowledge gained in the Kinerma cultural heritage work indicates that it is worth aiming protection or preservation approved also by the locals, despite of the controversies, since it seems to assure the continuity of authentic living in the cultural heritage site (Niskasaari 2009). The cultural heritage studies deal usually with two types of controversial situations. Firstly, the external-internal viewpoint causes a conflict when local heritage is being intervened by the outsiders, such as the external experts (Smith 2006, 300; Graham and Howard 2008, 3). Secondly, the diversity of interpretations causes conflicts when the meaning of the cultural heritage site is not agreed between the experts and the local residents (Graham et al. 2000, 24; Graham and Howard 2008, 13). However, of my knowledge, the cultural heritage studies have not dealt with the acute issue of how to reconcile the use of new building materials and solutions available and the protection or preservation work in dialog with the local residents. Unfortunately, often the expenditure issues rule over the preserving attitude if the own local heritage is not valued enough. This third issue dealing with the use of controversial materials is discussed in this article through the analysis of recent changes in the Olonets Karelian villages. The practice-oriented question setting is based on the experience gained in the cultural heritage work carried out in the Olonets Karelian Kinerma Village (Niskasaari 2014) and lately in the ongoing project Home of Karelian Lanquage at the Vedlozero Communal Centre. Graham, B., Ashworth, G. J. & Tunbridge J. E. 2000. A Geography of Heritage: Power, Culture and Economy. London: Arnold. Graham, B. & Howard, P. 2008. The Ashgate Research Companion to Heritage and Identity. Farnham: Ashgate Publishing. Jokilehto, J. 2008. The World Heritage List: What is OUV? Defining the Outstanding Universal Value of Cultural World Heritage Properties, with contributions from Christina Cameron, Michel Parent and Michael Petzet. Openarchive.icomos.org/435/. McCannel, D. 1976. The Tourist: A New Theory of the Leisure Class. California: University of California Press. Niskasaari, K. Introduction. In: R. Ahonen ed.2014. This is life in Karelia. Oulu: RAPublishing, pp. 19-23. Niskasaari, K. Authenticity of Heritage and Livvik Karelian Identity. 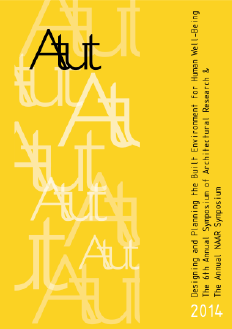 Research of traditional wooden architecture in the context of history and culture of the region. In S. Bertocci & S. Parrinello ed. 2009. Wooden architecture in Karelia II. Timber architecture as a phenomenon of national culture. Firenze: Edifir-Edizioni, pp. 94-99. Timothy, D. J. & Boyd, S. W. 2003. Heritage Tourism. New York: Pearson Education.